Judy Rozzelle grew up steeped in the story-telling tradition of the North Carolina Piedmont.Whether it was the old men loafing at the Shuffletown Grocery, or the women busy at the church, it seemed everyone had a story to tell. Some of the stories were about the ancient history of her ancestral home. Others were up-to-the-minute reports about the goings-on of their neighbors’ scandalous behavior – while still others were just made-up tall tales meant to tease the mind of an impressionable young girl. When she moved away from Shuffletown, first to go to college and then to raise her family, the stories stayed with her, as did the storytelling impulse. When her children, Casey and Jodi, were old enough to go to school, she found time to start writing. Her first effort was an essay about Casey. She sent it to Reader’s Digest, and, amazingly, they published it. Having her very first piece published was an auspicious beginning to her new career. Over the next three decades, Judy wrote essays on the foibles and idiosyncrasies of life that have appeared in Diversion, Parents, Watersport, Sea Magazine and other magazines. 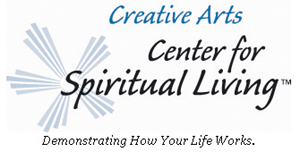 In 1986, she won Guideposts Magazine Writerâ€™s Contest. She served as editor of Charlotte Magazine in the late 1970’s and, in the 1980’s, was an advertising executive in Charlotte for many years. In the late 1980’s, she moved back to Shuffletown. She found that, on the surface, at least, the way of life in Shuffletown was still gracious and tied to the rhythm of the land. But elsewhere she found troubling signs that the outside world was seeping in. New highways were being built to carry far-flung commuters into Charlotte. Shopping centers were being planned. Her hometown was changing. Judy decided that the time had come to put Shuffletown on the map by organizing a festival to celebrate its history and culture. She enlisted the help of friends from nearby Charlotte who were experts in advertising and promotion, and formed the Shuffletown Hysteric Preservation Society, or SHYPS. In May 1983, SHYPS launched the first (and only) Shuffletown May Day May Day Festival and Yardsale. The three day event made the Charlotte papers and garnered local TV news coverage – and the locals made a few bucks on their yardsales – so, all in all, it was considered a success. Nothing can stop the forces of change, however, especially when a city like Charlotte is growing and spreading. In 2000 or so, deals were struck to sell off all the land under what had been Shuffletown – the family homes, the farms, the Shuffletown Grocery – even the minnow pond where “Live Bait” had been harvested for decades – it would all be gone before a year passed. Shuffletown was disappearing. The rural community with its semi-scenic charms was being replaced by cookie-cutter shopping centres and upscale condominium complexes. 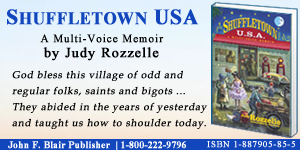 She decided to undertake writing “Shuffletown USA: A Multi-Voice Memoir” in order to capture the stories about her hometown all in one place, before it was too late, and the memories faded forever.